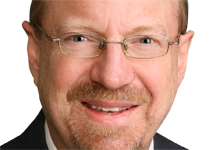 Who’s Afraid of the Taper Trade? will change the way you invest forever. Three model Portfolios tailored to different risk tolerances and investment styles: Conservative Income, Aggressive Income and Top 10 DRIPs(companies that offer dividend reinvestment plans). The Endangered Dividend List, a rundown of the companies that could be forced to cut or eliminate their dividend. The 14 stocks that currently appear on this list are potential graveyards for capital. Knowing which names to avoid or sell is just as important as buying the right stocks, especially in today’s market. 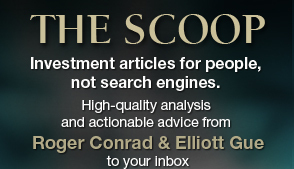 You’ll also receive online monthly issues that include an article on portfolio strategy, in-depth analysis of my favorite two stocks to buy now and a feature article highlighting emerging challenges and opportunities in the utility space. In addition, I’ll send you email updates on portfolio holdings throughout the month, and alerts whenever there is breaking information you need to know now. My goal at Conrad’s Utility Investor is to provide smart investors with the tools and knowledge to preserve and grow their nest eggs. 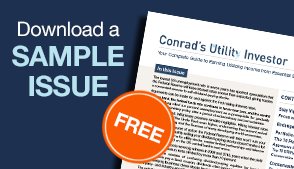 Subscribe to Conrad’s Utility Investor today and lock in this discounted price of $99 per year, forever.